We are thrilled you are considering attending Easter at HISplace! Hopefully you receive many invitations to an Easter Sunday Service on April 21. We hope you consider HISplace if you are looking for awesome kids classes staffed by a team trained to excel with the age of your children, dynamic worship, practical Bible teaching, and a really good cup of coffee. You'll find the people friendly but respectful and the atmosphere will be a lot of fun. If we sound like a church you'd like to check out, we encourage you to Plan Your Visit now! We’d love to meet you at the front door! We know meeting someone for the first time can be intimidating, and going to a new church for the first time can be nerve-racking. We want to help make your first experience at HISplace Family Church a great one! If you Plan Your Visit, we'll have someone meet you and show you around so you can relax and enjoy what God has for you. Our services run about 65-70 minutes and include a few songs of dynamic, modern worship music. Sing along or engage with worship however you feel most comfortable. Immediately following worship our pastor or one of our teaching team will share an uplifting, hope-filled message from the Bible that is relevant to your daily life. Our atmosphere is exciting and casual with plenty of free coffee. Dress is casual and comfortable. We believe your kids should have a great time at church every week so we make creating a safe, fun environment a priority. So allow an extra five minutes to get your children checked in the first time you attend. Our HISkids ministry is offered in each service for kids ages infant through Grade 5. HISplace Family Church is located at 5302 Spring Stuebner Road in Spring, TX 77389. Simply turn on Sherrod to get to our entrance. We can't wait to meet you! Let us know you're coming...please click the link below! 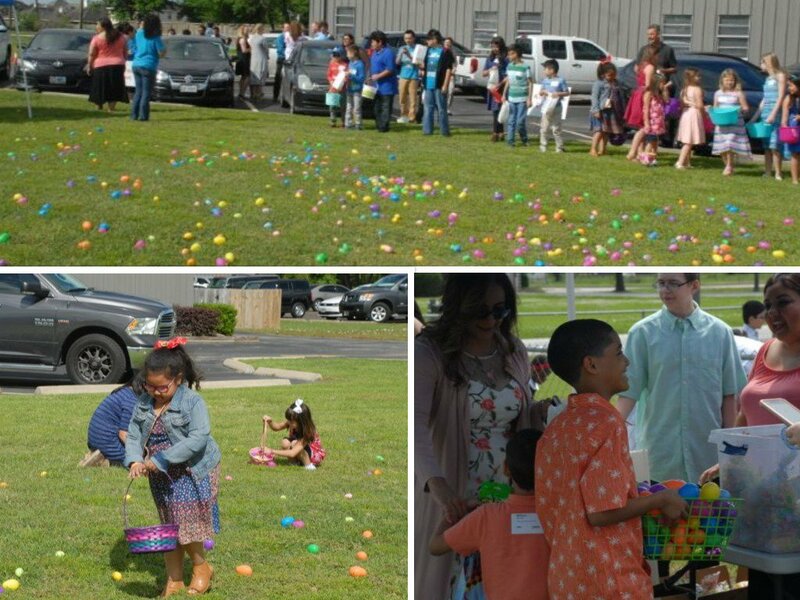 Giant Easter egg Hunt after each service!